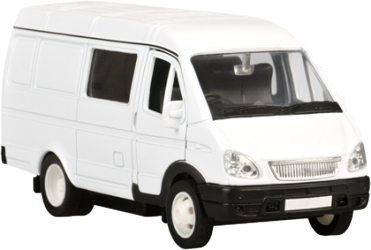 1 Stop Insurance only offer quality van insurance. Some web based insurers offer van insurance policies with hard to see excesses, business use restrictions, mileage conditions or generally reduced covers. Not so at 1 Stop Insurance. We believe in being crystal clear so our clients know what they are buying. Our friendly & helpful staff will guide you through arranging your van or truck insurance. We are there to help you at all points of your insurance experience. We promise to do our utmost to ensure you are delighted with your buying experience. We will explain the cover in simple, precise terms, with nothing hidden away in small print. Not all policies are the same. Where one policy may grant free foreign travel cover, another may charge for this service or not offer it at all. Where one policy may offer a FREE courtesy vehicle following an accident another will not. With this in mind many van policies only generally give a courtesy car not a van for accident repairs. We can ensure you get a “like for like” replacement if you need this and it is agreed at inception of your policy. You need to know precisely where you stand when you take cover not discover these things when you claim. Breakdown cover to keep you mobile since if you can’t move you can’t earn. Legal Protection to protect your rights and your No Claims Bonus. As a brokerage we want to discover your “wish list” of covers and source insurers to match. We continually check the companies we use to ensure they offer competitive premiums. At renewal we revisit all our UK based insurers and suggest changes to you if it is to your advantage. However, we will in no way reduce your cover, unless this is something you want. Your long term insurance delight is our goal and careful research and planning helps us achieve this. We guarantee to offer the best rates for those companies open to us. No problem is too big for us to manage or too small for it to matter. We actively work to ensure your policy meets and surpasses your requirements. We’ve not been in business for over 30 years by giving poor cover or service. We deliver long term product and client satisfaction. A FULL no claims bonus can cut your premium by up to 75%. Ought you to consider protecting this valuable premium saving tool? 1 Stop Insurance staff believe in our clients understanding their cover and are happy to take as long as you need getting the cover right. So don’t delay, call us today and see how much better your van insurance cover and premium can be!